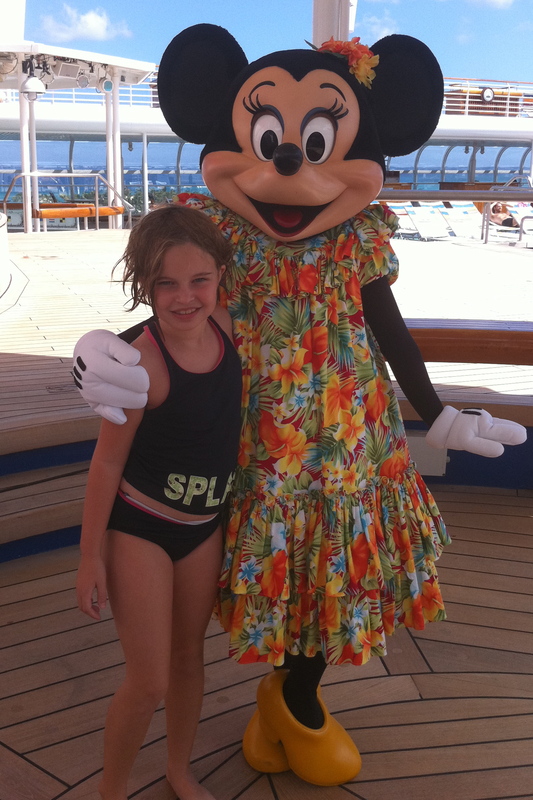 We got home on Thursday from a Disney Cruise. We had an AMAZING time while on the boat, but then had to come home immediately after docking because our Princess got sick. In fact, she’s still under the weather. I took her back to the doctor Monday, and he thinks she may have actually had a rarer form of flu. Of course she did. My Princess has always got to be the over-achieving, unique one of the bunch. So, we’re resting at home one more day in hopes of returning to school tomorrow. I wonder if anyone will remember her. While we’re resting, we’re remembering all the fun we had on the cruise before the fever hit (and well, even after it hit while she was drugged with Motrin). Here’s some of the things we will never forget. 2. The incredible service! 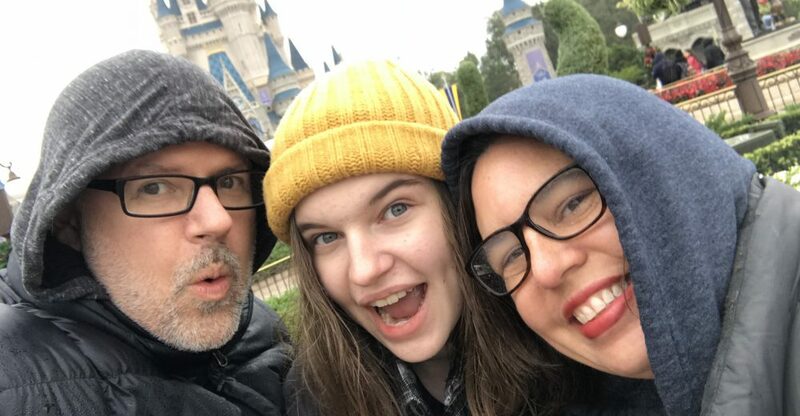 If you have ever been to Disney, you know how amazing their service is. I mean, they even have a school for service and books written about their service. That same amazing service is even better on the cruise. I kid you not. It was AWESOME!! Our Room Host realized that my husband was icing his back several times a day (a whole different story for another day) and made sure that two ice buckets were full of ice in our room at all times. The same serving crew follows you around from restaurant to restaurant each night for dinner. They knew the second day what the Princess was going to need to be happy – a bowl of sliced strawberries and a glass of milk – and those things appeared IMMEDIATELY after we sat down. AMAZING SERVICE! I wanted to take them home with us. 3. The kids activities! 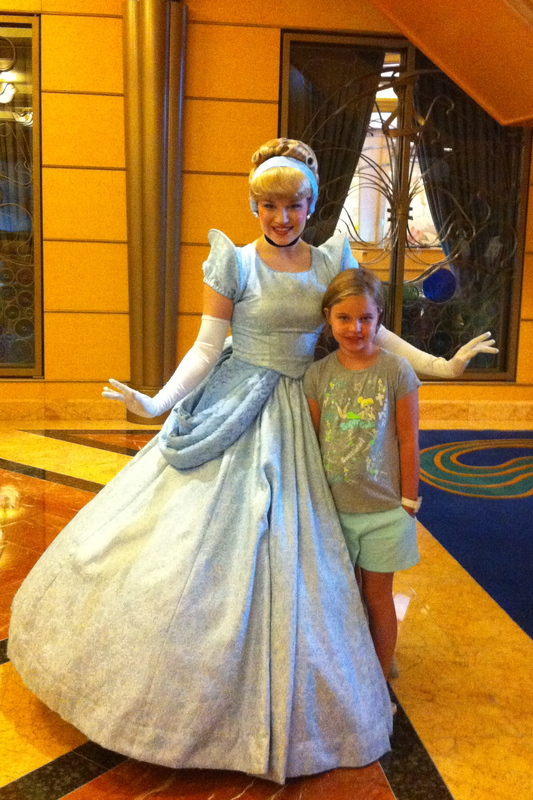 The Princess LOVED the Oceaneer’s Lab where she hung out a good bit while we were on the ship. They had scheduled activities almost all day long, and she planned her day around these. In addition, when we were on Castaway Cay (their private island), they had Scuttle’s Cove where we could check in the kids and then go fall asleep on the beach under the palm trees. It was a kid’s paradise in both places. The Princess’s favorites were the time when she got to make Flubber and the two mystery adventure activities she did. SO MUCH FUN! 4. Deck 9! A pool, an ice cream machine, unlimited pizza and chicken fingers, deck parties, character autograph signings… They had it all on deck nine. 5. The restaurants! I talked about the service, but now lets talk about the food! Oh my, oh my, oh my! My Losing It! friends. I didn’t try real hard to be good. I’ll admit it. I will say that I did NOT have a Diet Coke, and I limited myself on the carbs just because I just didn’t want them. But I did ENJOY some fine dining. Two nights My Sweetie and I ordered all the appetizers on the menu – because you could! I tried things I’d only ever seen on Food Network television. The food was out of this world. And, the restaurants themselves were entertaining. There are three main ones (plus an adults only one we didn’t visit), and each one had it’s own personality. 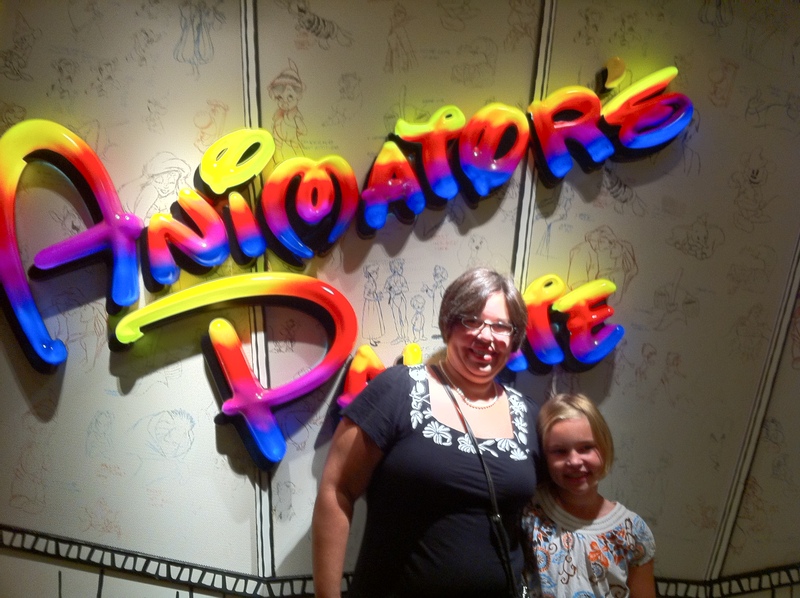 Our favorite, which we knew it would be, was Animator’s Palate. The walls were so entertaining, we almost forgot to eat. 6. Castaway Cay! Disney has an island. Yes, the do. And it is FABULOUS! 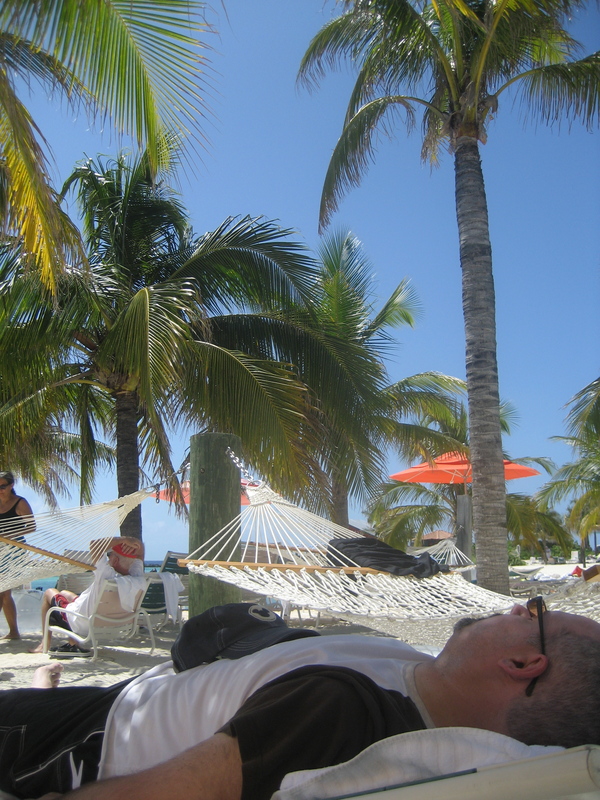 My Sweetie, who hates the beach, said that if all beaches were like Castaway Cay, he’d take me whenever I wanted to go. He’s not quite sure how, but the sand didn’t even stick to his feet. I’m thinking they must have brought special sand in for that. 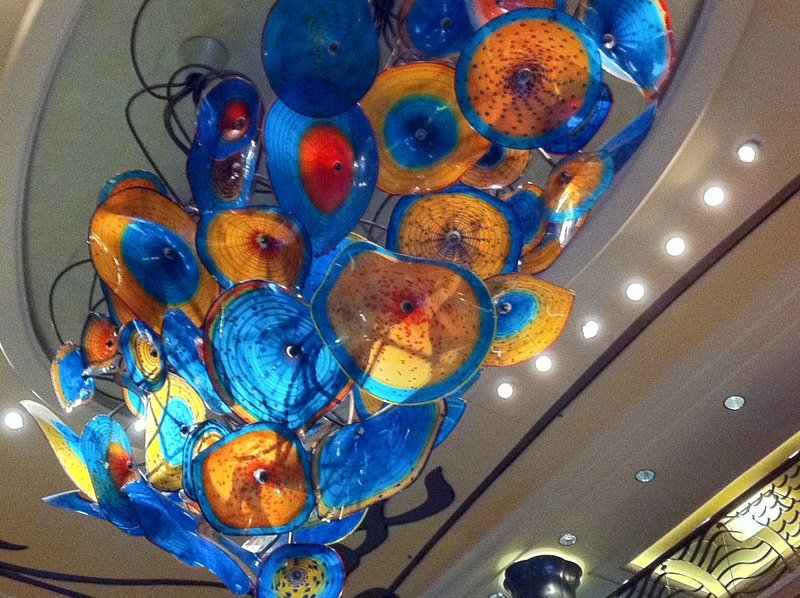 Or maybe, we’re just not used to being in the Bahamas. Anywho, amazing day at the private island. We were onshore by 8:30 and went back to the ship at 3:30. 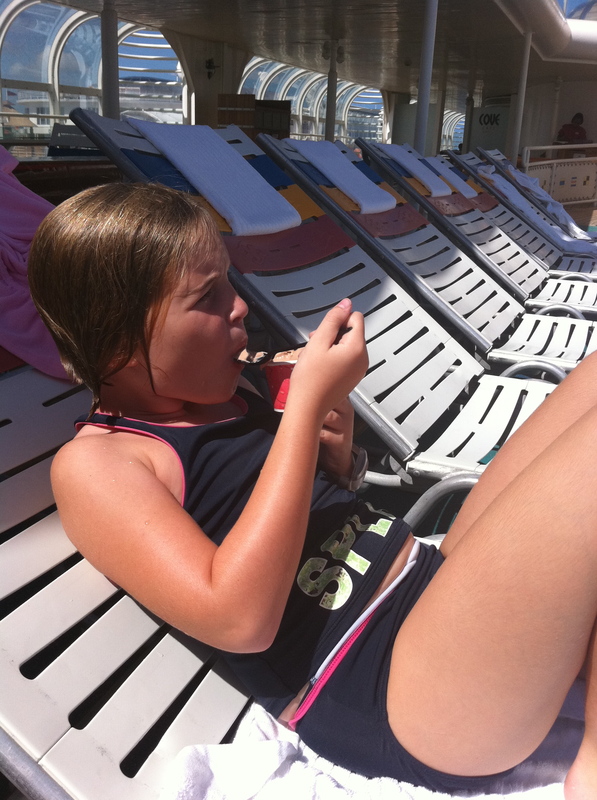 This is when the Princess started feeling poorly, or I think we might have stayed on the beach until the boat left at 5. All we had to do was bring our bag of sunscreen and our camera. They had all the rest. We grabbed towels as we exited the boat and then found some chairs with a hammock next to it in the shade of an umbrella and palm trees. They fed us when we got hungry and had water for us to drink. AMAZING DAY! 7. 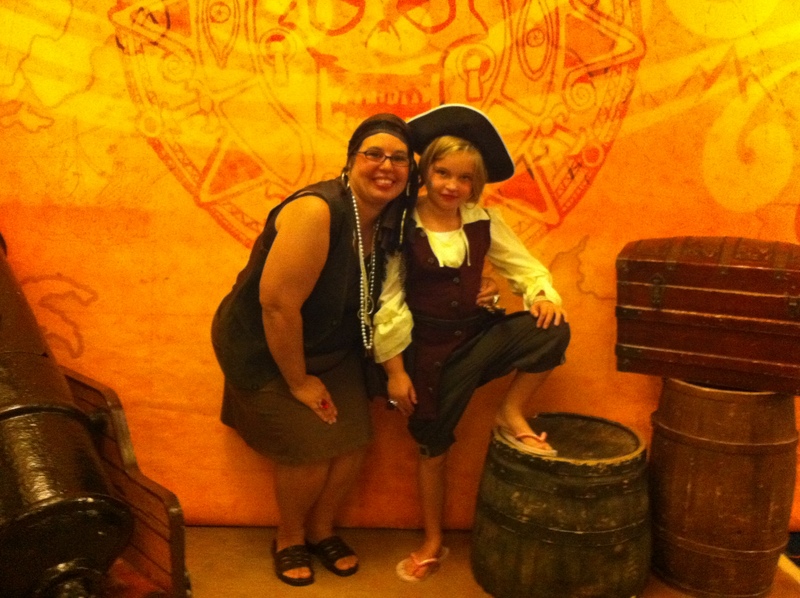 Pirate Night! Arghhhhhh!! After our day on the beach, we napped and then partied like pirates! 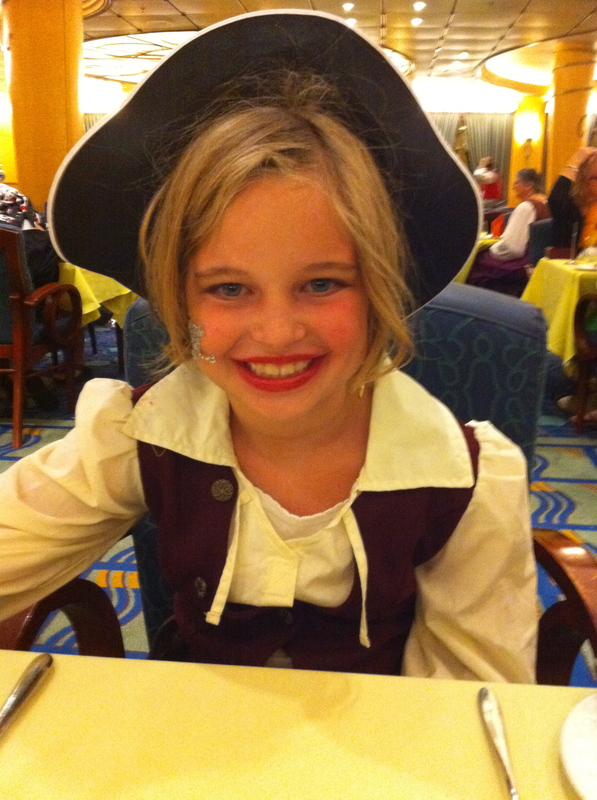 We had a pirate themed dinner and then a Pirate Party on deck 9 where Mickey flew in on a zip line to fight Captain Hook. Then, there were fireworks followed by a dessert buffet and a showing of “Pirates of the Caribbean” on the HUGE screen by the pool. It was a SUPER FUN night that I don’t think we’ll ever forget! 8. The Shows! 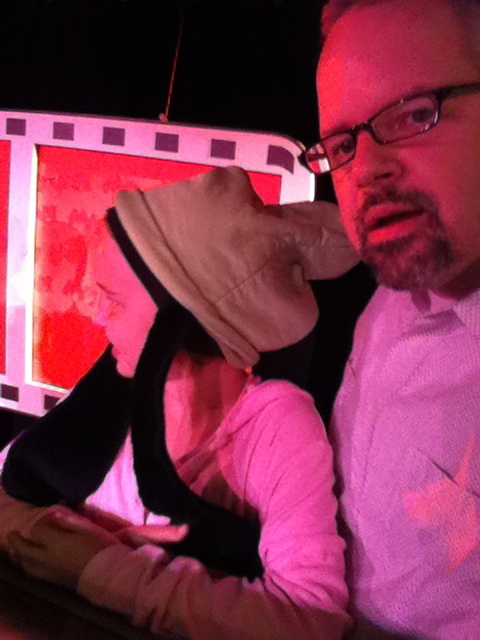 Each night (except Pirate Night), there is a Broadway style show for you to see. All three were musicals. All three were fun. All three had very talented people. 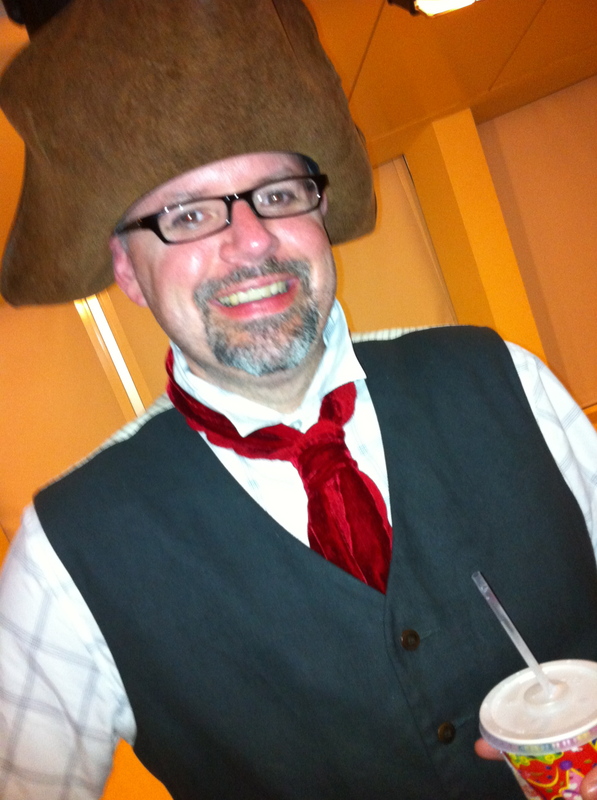 I think I was most impressed with the dancing on the first night as it was a REALLY rough night at sea. I was having trouble sitting up in my chair and walking down the hall. How they all managed to stay upright while dancing on stage is a true mystery to me. 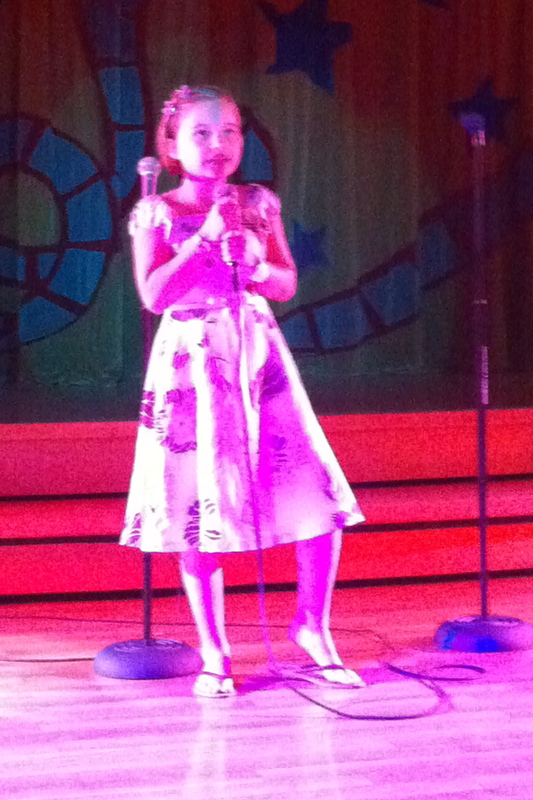 The talent was great, and the Princess loved each and every show. 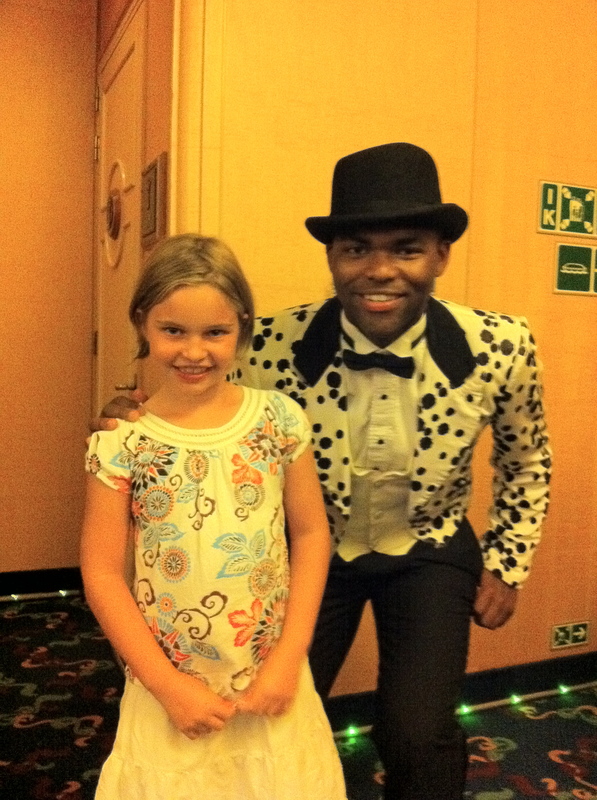 In fact, she went picture happy on the last night when they had many of the actors out in the lobby for us to meet. 9. Characters! 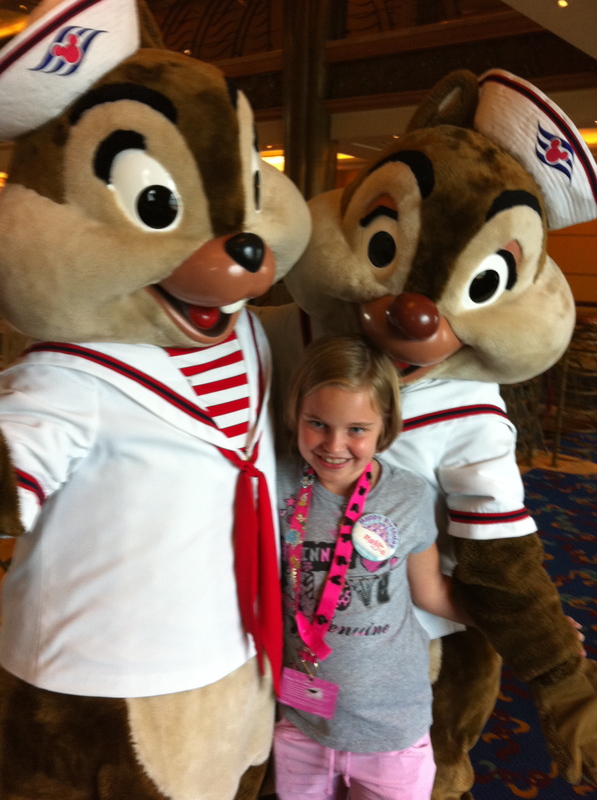 We were on the DISNEY cruise. And, Disney means Disney characters. And. they were EVERYWHERE! Each day, they published a schedule of where they were going to be, but they popped up all over the place off schedule too. We learned quickly to ALWAYS have our autograph book and camera with us. We stood in a long line for the Disney Princesses. Well, let me clarify. 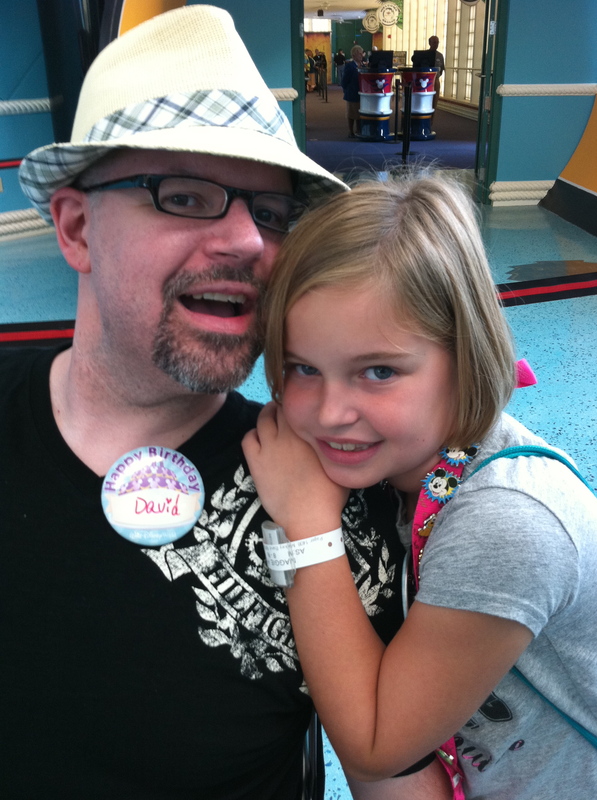 I stood in a long line while My Princess flitted in and out of it to go do dancing lessons in the lounge area. However, that and Captain Jack Sparrow on Castaway Cay were the only really long lines. 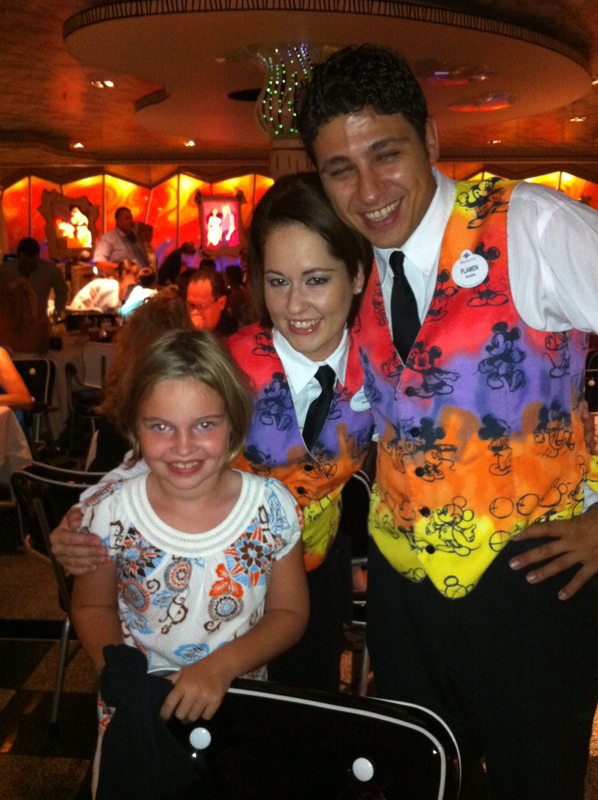 It was great to see My Princess still thrilled to meet the characters. There’s still a little girl inside her. 10. The Family Fun! Since Disney is ALL about FAMILY, there were organized family activities all the day long. There were dancing lessons and game shows and karaoke nights and bingo and deck parties and much, much more. My Princess was most interested in the game shows. She LOVED them and wanted to participate in all of them. Her favorites were when she sang “I Won’t Say I’m in Love” at Family Karaoke Night and when she and her daddy participated in the Mickey Mania Game Show while I had a mommy break. There you have it. 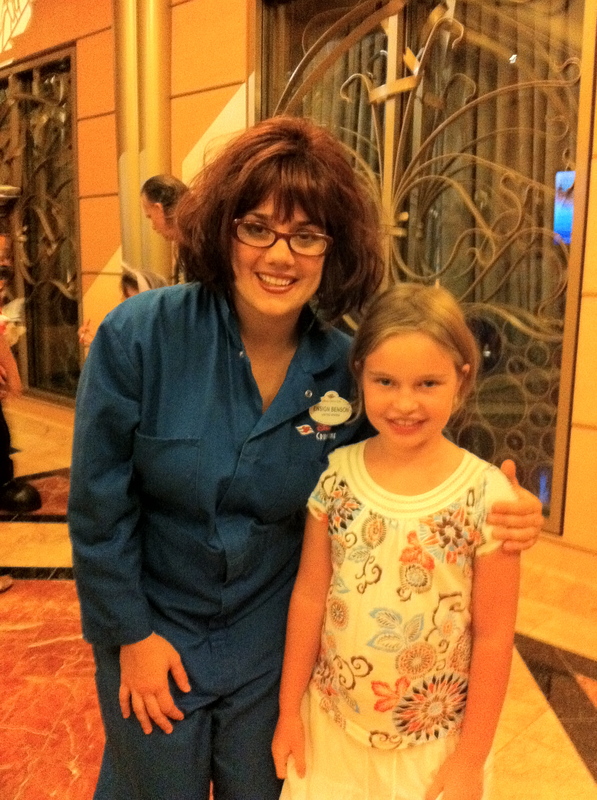 The TOP TEN things we’re remembering about our Disney cruise. We’re remembering so much more of course and are still smiling about it here at the House of Hills. Probably even more memorable than any of those things is the fact that we were celebrating the births of these two amazing people. I’m so blessed that they were born. 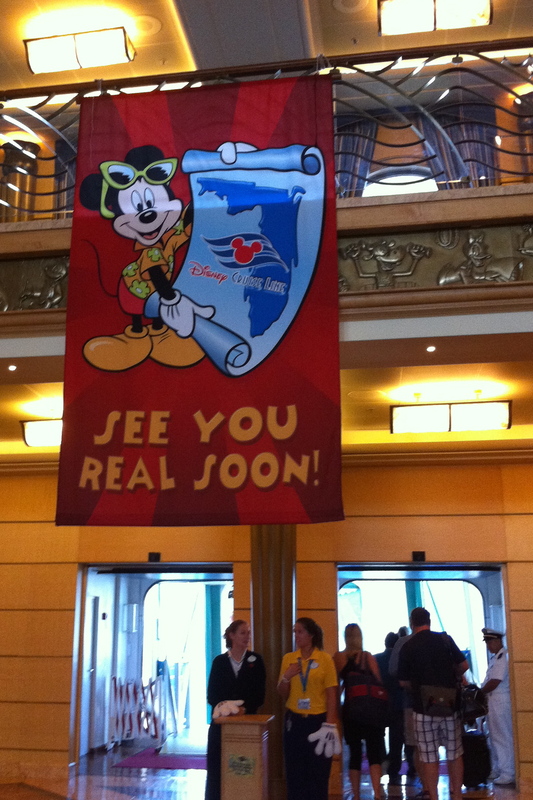 And yes, Disney Cruise, you will see us real soon. Just as soon as we can save up enough money to do it again. 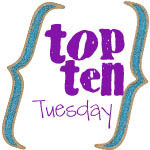 This entry was posted in Disney, Family, Top Ten Tuesday by KHill. Bookmark the permalink. 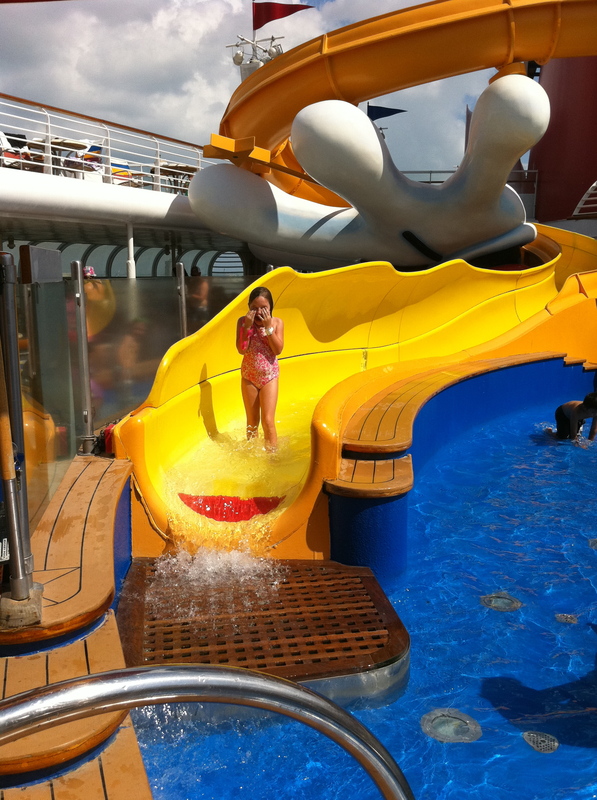 Wonderful blog – makes me want to go cruising! Oh my word!!!! That looks like so much fun!! And I’m so jealous! I’ve always wanted to go on a cruise. 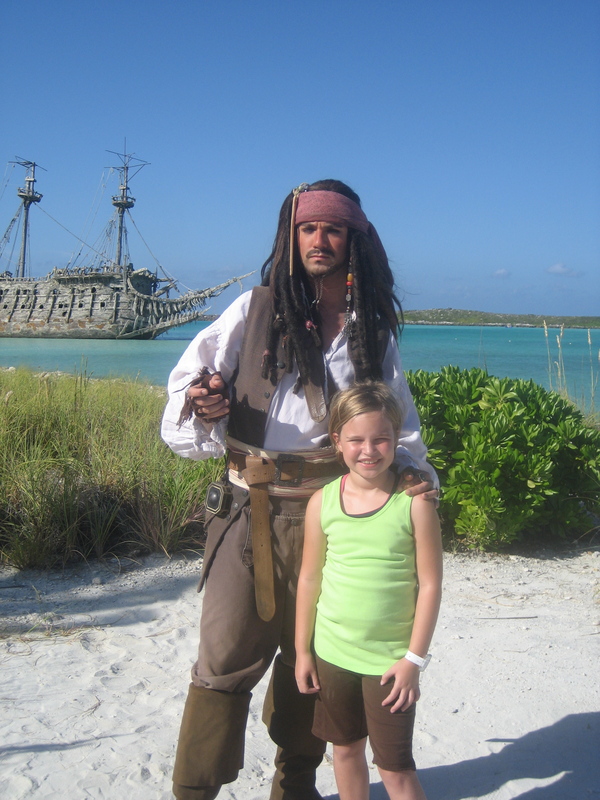 Love that your Princess got a picture with Cap’n Jack Sparrow! LOL I really enjoyed the picture and recap of your cruise. Wow. Awesome! 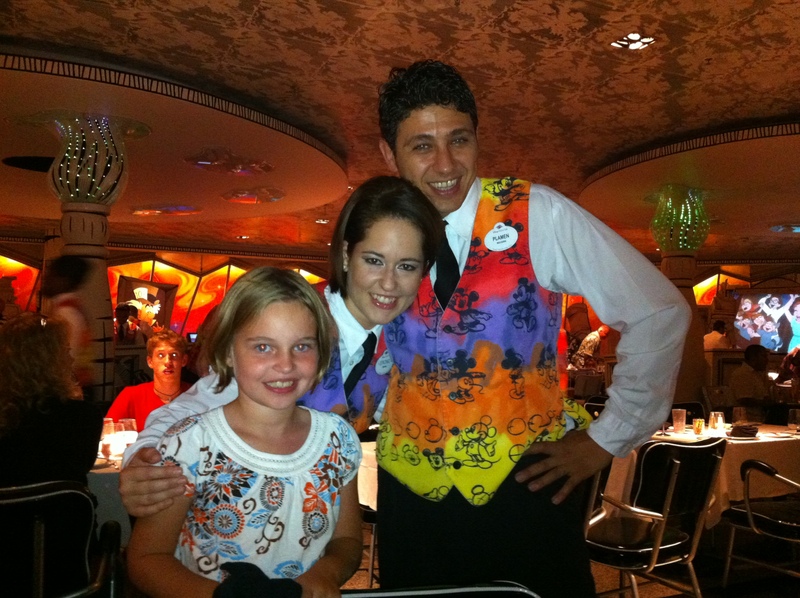 I hope we can do a Disney cruise someday!! !